If Spain is on your bucket list, then place Barcelona straight at the top. While touristy in some places, there are nooks and crannies where you can hide away from the bustling crowds with a cheap beer, tasty treat, or amongst the trees at a beautiful park. On a recent trip, Barcelona was the first stop on a whirlwind tour of gorgeous Spanish cities holding famous sightseeing locations. There is so much to do and see in Spain, that four days in Barcelona proved to be the perfect amount of time. Whether you’re tacking on more of Spain or are traversing around Europe, a long weekend is just right for fitting in amazing churches, delicious dishes, and quaint gardens. 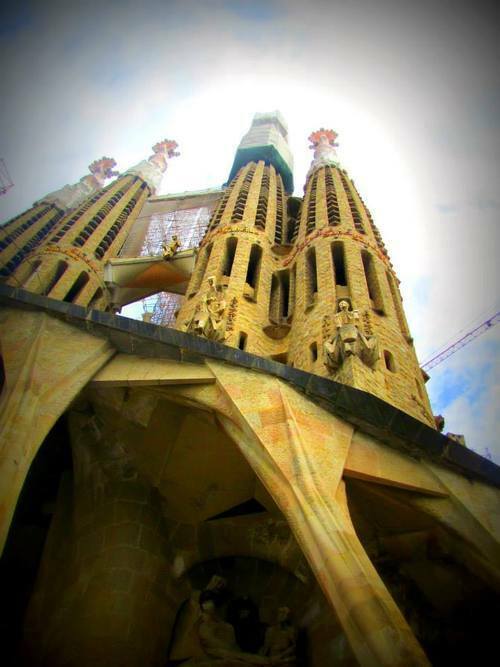 *The #1 can’t-miss, must-do in Barcelona is La Sagrada Familia, the architect Antoni Gaudí’s masterpiece cathedral. I know what you’re thinking – another church in Europe? No big deal! But you would be very wrong. La Sagrada Familia is unlike any church I have ever seen. With columns formed like trees reaching over 150 feet, stunningly translucent stained glass windows, and a grander façade than I’ve seen before, you will be in awe. Best tip I can give you here – get your tickets online first! Lines circle around the building and can last hours. Second best tip: do the audio tour. It’s a few bucks extra, but the fun facts are totally worth it.